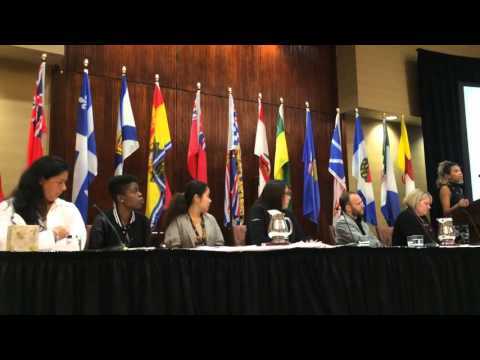 The Canadian Council of Child and Youth Advocates (CCCYA) is an alliance of legislatively mandated advocates for the rights of children and youth. These advocates may operate under various titles (e.g. Advocate, Representative, Ombudsman, Commissioner), but all are official representatives in their particular provinces and territories. All CCCYA members are independent statutory officers who report directly to the Legislative Assembly of their respective jurisdictions. Each CCCYA member office is established by legislation to operate in a manner that is independent from government authority or control. Council includes members from the nine provinces and two territories of Alberta, British Columbia, Manitoba, New Brunswick, Newfoundland and Labrador, Nova Scotia, Nunavut, Ontario, Québec, Saskatchewan, and Yukon. Engaging/cooperating with other child and youth-serving organizations nationally and internationally to contribute to advancing the rights of children world-wide.